The minimalist trend has been popular for a while now. More people are gravitating towards simpler, multi-faceted wardrobes and intentional lifestyles, focusing more on self than “stuff”. Granted, there are various versions of minimalism (you can read our interview with Roe of the BrownKids duo to see how minimalism is more than black and white), but when it comes to minimalist jewelry the entire concept focuses on making a simple design look effortlessly beautiful. Minimalist jewelry also works well for daily wear because they are paired easily with most day-to-day looks. When it comes to getting the most of out your jewelry, the simpler the piece the better. Why? Because it provides versatility. They’re an instant way to style basics and easily repurpose. 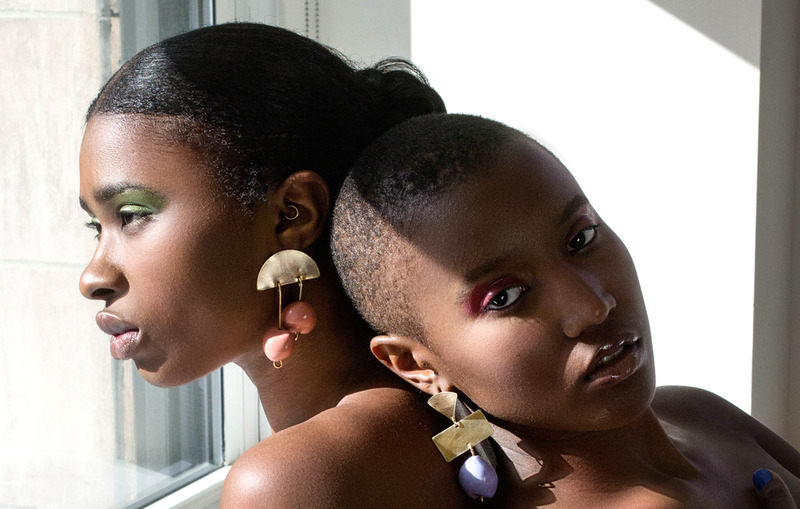 While hunting for the perfect source for minimalistic pieces, these black-owned jewelry companies stood out with their pieces. Many of them are more accurately defined as “contemporary,” rather than minimal, but to me they still work well for a minimalistic feel because they have a versatility factor. Not too many colors or trendy features, making them capable of remaining a classic staple within your wardrobe (and if you love a little pop of color, they have good pieces for that too). Edasjewels: Edasjewels was created from an innovative standpoint, initially focusing on sustainability while using unusual home-goods and refurbished elements. They create each piece by hand, in addition to making each piece/design specific and one of a kind. Mahnal Jewelry: Founded and designed by Shayba Muhammad, Mahnal Jewelry is a collection of delicate and modern jewelry that accents the natural elegance of a woman. She states she draws inspiration from the places most find most meditative, exploring themes like silhouettes in nature, the repetition of lines in architecture, or how light plays against texture. My Hoop Jewelry: An Etsy shop run by designer Sandy Freeman, who has been making jewelry for over 25 years, My Hoops Jewelry offers tons of earring, nose ring, bracelets and traditional ring options. Her ear cuffs are a personal favorite. 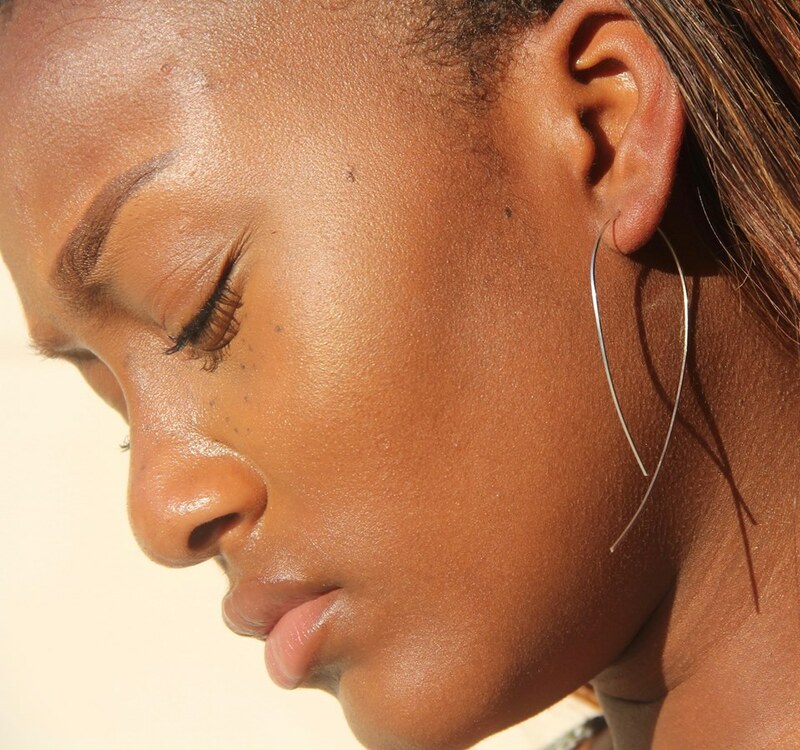 Nandi Naya: Nandi Naya is a New York based jewelry line designed by Leziphansi Zita. Named after her first-born child, Leziphansi’s work is inspired by her South African heritage. THIRD CROWN: New York based co-designers Kristin and Kofi Essel fuse their love of geometric shapes with the details found in their architectural surroundings to create THIRD CROWN - their collection of men’s and women’s jewelry. Since starting, they’d captured the attention of Beyonce and Solange Knowles.